Trent Alexander-Arnold has received his first call-up to the England senior national team after being included in the squad for this summer's World Cup alongside Liverpool teammate Jordan Henderson. The Scouse teenager has only previously appeared for the Three Lions' youth sides - most recently the U21s - but has played himself into Gareth Southgate's plans after enjoying a breakthrough season at Anfield. 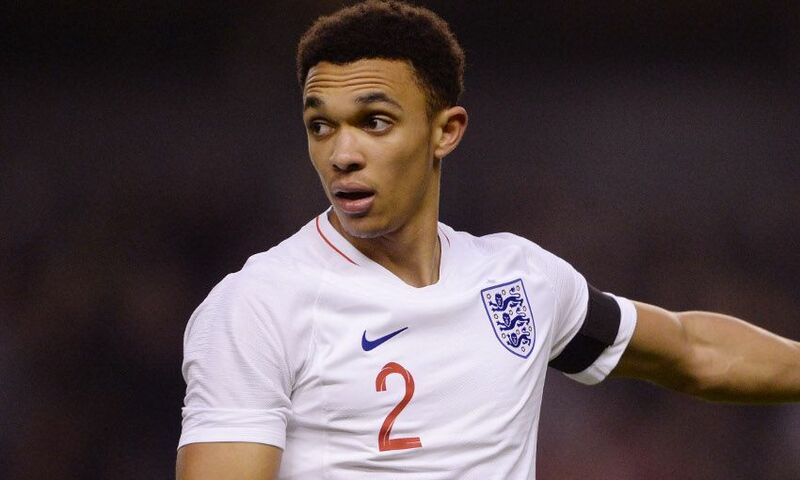 Alexander-Arnold is joined in the squad by club captain Henderson, who could take up the armband for his country in Russia having done so in recent friendlies. England have been drawn alongside Tunisia, Panama and Belgium in Group G, and get their campaign under way on June 18 in Volgograd. Reflecting on the decisions that form his latest squad, manager Southgate said: “The selection process has been over months really, it’s not just been the last few weeks. We feel the team are improving and we want to continue that momentum.